Help! I need a doodle of this wonderful quote! Equation Arts > doodle art > Help I need a doodle! > Help! 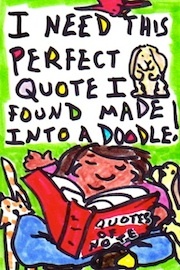 I need a doodle of this wonderful quote! Lay some words on me! Who is the author of this splendid saying? Give me a blurt! Tell me one or two words you would shout in a busy library upon discovering this quote? What color socks was the author wearing? So tell me why you picked this quote. Why is it special to you? Thanks for answering the questions! 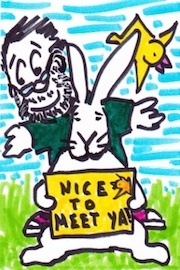 The info is really going to help me make your doodle more fun and personal. The next step is to click "Mind-Blown!" which will send this info to me and bring you to the page where you select the size of your doodle and then it is checkout time.